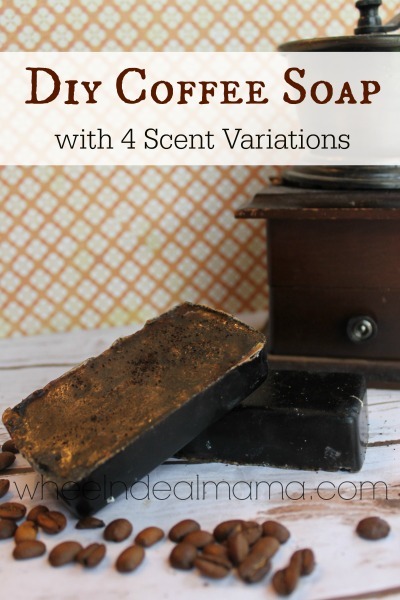 Do it Yourself Coffee Soap, 4 Scent Variations! Great for Exfoliation too! If you love waking up to the scent of coffee you are truly going to love it in the shower. From the heady scent to the exfoliating feature of the coffee grounds it is sure to wake you up and get your day going. The oil contained in coffee helps unclog pores so it is great for acne prones skin, those with eczema, and psoriasis, while the antioxidants it contains can fight sun damage and help repair cells. But thats not all-Caffeine is also known to help in removing cellulite and tightening skin. All that on top of the delicious aromatherapy pick me up it brings. Besides being a great body bar, this coffee soap is excellent for removing smells from your hands like onion. Plus — this would be a great homemade holiday gift too! Be sure to follow me on Pinterest for more great recipes and more! Cut soap block into 1″x1” pieces. For my mold of 4 blocks I placed 12 squares in the glass bowl and microwaved for one minute to melt, this was all mine needed to be completely liquified you may find your microwave takes more or less time. Once melted, remove from microwave carefully with mitts. Allow to cool for about 10 minutes. 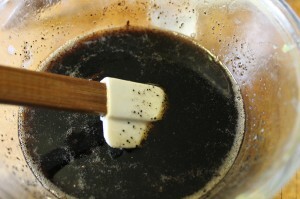 Stir in ¼ cup of coffee grounds and whatever add-ins you choose below for any scent variation. 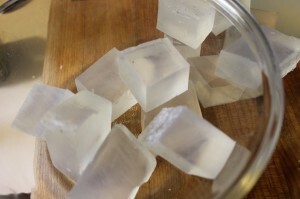 Pour liquid soap mixture into molds and allow it to set overnight to completely solidify. 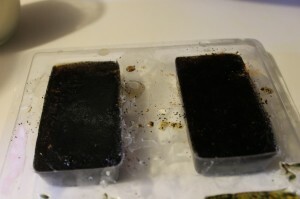 Especially if gifting this soap, after it has set partially (a thin skin will have formed on top) sprinkle additional coffee grounds on soap to make it prettier and more finished off. It’s great that this can be made with USED coffee grounds! May as well get another use out of them. They’re also good for scrubbing cast-iron pans. 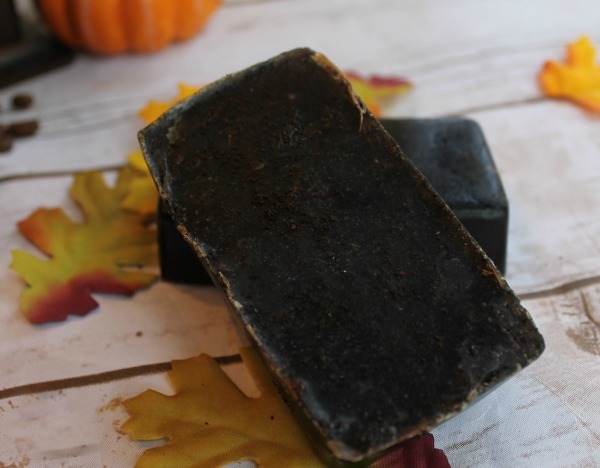 Based on my terrible experience washing my hair with coffee grounds and your photos, I think that this soap should be made with FINELY ground coffee. If it’s more coarsely ground, the bits have sharp edges that are too extreme for exfoliating.